Over the past few years, the whole concept of creating, running and building an online business has been sliding downhill faster than the Jamaican bobsled team on sleek ice. And some people who present themselves as teachers are treading on thin ice. First of all, there’s the trend of people calling themselves “internet marketers” and wearing the label like a badge. Sure, there are those out there who just love the idea of “marketing,” as affiliates for other people’s products. Some are traffic experts in their own rights, and deftly use CPA, PPC, and other forms of paid advertising to focus their skills on sending prospects to another business. But when these same people try to tap into a more sustainable business model by transitioning their success into the world of email and blog communication, they often find out the hard way that “readers” expect to… well… read most of the time. That means unique and genuine content, not blatant and consistent hard-selling. So the problem is that, first of all, the person who sees him or herself as a marketer (and “just” or “mainly” a marketer) more often than not sees an email address (or a physical address) as a “target” — a hit-or-miss part of the equation that’s got to be in place to make a sale. That may be effective at bringing in some fast cash — for a little while — but it falls under the category of “wham, bam, flash-in-the-pan” practices and isn’t far removed from the “one night stand” mentality. By contrast, the person who builds a value-driven business sees the communication as a relationship; it’s an ongoing way to express and share his or her passions, experiences, and knowledge. It’s more like wanting to “marry” the reader into his or her world. After all, when you’re running a full-fledged business, the first sale (to the same customer) never really counts anyway. And you can’t build a strong foundation based on flash. Just ask Milli Vanilli… no substance = no longevity. Now, even the notion of “internet marketing” is becoming dangerously flimsy. It used to lower the barrier to entry for new entrepreneurs by proving that you could follow your passions, make money, and leverage time and resources by starting an online business rather than a brick-and-mortar one. But now it’s a catch-phrase that’s becoming more and more entangled with words like “hype,” “scam,” and “manipulation” — many of them now true — and unfortunately, a cottage industry that started out with good intentions is sinking lower and lower into the marsh. Then you’ve got people taking the “marrying” approach too far. They’re spending so much time trying to brand themselves and share themselves through social media that they’re missing the point: no business can provide scalable revenue, sustainable growth, and true leverage if you, as the founder, can’t remove yourself from it. The Internet Marketing Center continued after the tragic passing of founder Corey Rudl, and remains strong now (despite the IM-centric name) after the next CEO, Derek Gehl, has also moved on. That’s because they focused on building a large, reputable company that didn’t rely on one person’s involvement. Simpleology is a strong brand under parent company Construct Zero, with multiple products in a hub-and-spoke configuration. This is possible because founder and CEO Mark Joyner has a reliable team to run things, and he’s willing to step aside and let them carry on the vision he started. (Full disclosure: I’m one of their independent contractors, who now creates content for two of Construct Zero’s product lines). Case studies can continue with companies like Agora, Strategic Profits, Generator Software, and more. So I don’t know whether to laugh or cry when I see people uploading pictures to Facebook of every dinner they’re about to eat, under the guise of building a personal brand and transparency. Seriously, who cares what your pea soup or box of donuts looks like? That also goes for entire SD cards full of practically identical photos of them posing and mugging for the camera, or multiple shots of them talking onstage, or hundreds of seminar photos for their own little “wall of fame”. A few photos will tell the story just fine! Inevitably, many of them end up starting their own little membership sites where they claim they’ll teach you the right way to market online. No wonder people who stumble across the idea of building online businesses get confused and don’t know what to do, invariably quitting under the crush of information overload. It’s almost like an epidemic these days. I mean, when I launched Internet Marketing Unwrapped over four years ago, my listeners complained that they were confused about who to learn from. But at the time, I was able to tell them that they could pick a mentor based on personal strengths and interests, because all the “gurus” were teaching specific (and unique) things based on their strengths. So you could certainly learn from more than one of them if you liked, because they were all masters in one area. Perry Marshall might have written several books, but you won’t find him teaching how to do it… his expertise is pay-per-click and guerrilla marketing. Michel Fortin undoubtedly has several forms of traffic generation down pat, but he sticks with teaching his core strength: copywriting. I’ve sent out plenty of emails to subscribers, but I have no desire to teach people listbuilding… my talent lies in creating quality content through writing and interviewing experts. While we do everything we teach, we don’t teach everything we do. Now it’s become a cesspool, where the new breed of jack-of-all-trade teachers are claiming to be one-stop-shops, all teaching the same thing: drive traffic, build a list, hammer them with offers, rinse and repeat. Blah! When you find someone trying to teach you everything about everything, you’ll probably find they’re using the shotgun approach — unfocused and scattered — rather than the targeted rifle approach (not that I like gun analogies, but this one hits the bullseye). And get this… some of these teachers are actually promoting the myth that all that (along with building your own webpages, designing your own graphics, writing your own copy, and lots of other time-consuming tasks that no business owner really needs to undertake anymore) adds up to passive income. That’s the recipe for becoming trapped in your business — for working in it, rather than having it work for you. In order to build a business that can bring passive income, you need to remove yourself from the equation — or at least be able to, when the time is right and it’s not fun anymore — rather than building yourself into it. That means sharing what you know, not who you are. Okay, sure… there’s some value in sharing part of your personal life along with your professional life when it comes to social media relationship building. It does give others a chance to have a glimpse into your life, providing another avenue for you to be known, liked, or trusted, which is obviously a good thing. But as Facebook marketing expert Mari Smith told me, there’s professional, there’s personal, and there’s private… and none of us need to be sharing the private. You’ll very rarely hear me talking about how “I did this, and I accomplished that,” even on this blog where it would totally make sense. And yes, I’m tied to the business right now because part of what I do is freelance as a content creator (be that writer or interviewer)… but Barry and I are definitely setting the foundation so we can step back — waaay back — from our company, LWL Worldwide, in the future. After all, it’s not “Barry and Heather Inc.” or “The Goss Family Entrepreneurs”… it’s Life Without Limits Worldwide. Part of what’s allowing us to build that foundation is, interestingly enough, our current flagship offering, The Wealth Vault, and the resources found inside. Read this interview I conducted with Barry, which puts it all into perspective and offers a bit of a paradigm shift. P.S. If you’re looking for a business book that tells you how to create an ever-evolving, profitable business from scratch, there’s only one you need to read: Ready, Fire, Aim: Zero to $100 Million in No Time Flat by Michael Masterson. 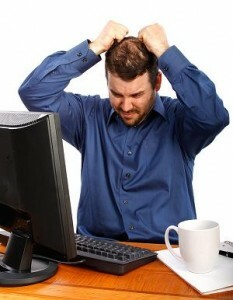 Pingback: The Life Without Limits Community Blog » What Would You Do if Your Income Disappeared? Pingback: The Life Without Limits Community Blog » Where Are All The Unbiased Online Business Resources?